This site is a public service by the Scott AFB, Airman & Family Readiness Center. The presence of commercial and external hyperlinks doesn't constitute endorsement by the A&FRC, Scott AFB, AMC, the USAF, or the Department of Defense (DoD), of the external web site, or the information, products or services contained therein. Eligibility Statement: DoD Personnel & families - including military members, all Service & Guard, Reserve, military retirees, DoD civilians, NAF personnel & immediate family members. Other uniformed services include US Coast Guard, National Oceanic & Atmospheric Administration, uniformed State Department personnel, Public Health Service personnel & members of units assigned or attached to a US installation. The surrounding communities of Shiloh, O’Fallon, Belleville, Mascoutah, Fairview Heights and the greater St. Louis metropolitan area! The A&FRC is available to assist you with any needs as you settle in this new community. If you need assistance locating your sponsor or have questions about Scott AFB or the local area, contact the A&FRC at Comm: (618) 256-8668 or DSN: 576-8668 or by email, aafrc@us.af.mil. 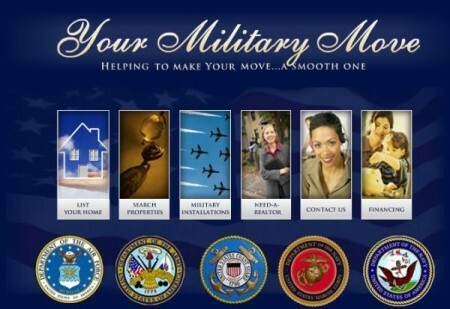 To assist you in preparing for this move the Department of Defense Military Installations database is the one-stop-shop for phone numbers, reporting instructions, information on base services, etc. Just type in “Scott AFB” in the search window! Also, the “Plan My Move” feature is available to create a planning calendar for your move. ﻿The links provided below will also assist you in finding housing, school district information, and other pertinent information about Scott AFB and the local community. The Scott AFB Postal Service Center will provide you with a free post office box to assist in the transition to Scott AFB. They may be contacted at DSN: 576-2956, Comm: (618) 256-2956, or by email. The A&FRC Loan Locker is available to provide household items at no cost as you await the arrival of your own items. Call (618) 256-3616 for up-to-date information. If you are arriving at Scott AFB with school-aged children, the Scott AFB School Liaison and the Parent Advocates for Students and Schools (PASS) will assist you in meeting your children’s needs. Contact information for the Scott AFB School Liaison and information on local public and private schools and homeschooling networks can be found on the Scott AFB public page. The Exceptional Family Member Program – Family Support (EFMP – FS) Coordinator is available to assist families that have individuals with special needs. They can ﻿answer questions, provide referrals, and help families connect with local and on-base resources. You may also visit the EFMP-FS Facebook page: Scott AFB; Exceptional Family Member Program for more information. Should you arrive at Scott during a period of inclement weather, please visit the Scott AFB Facebook page , the Scott AFB public website , or call the Scott Straight Talk Line at Comm: (618) 256-7232 to determine late reporting instructions, base closures or delays.